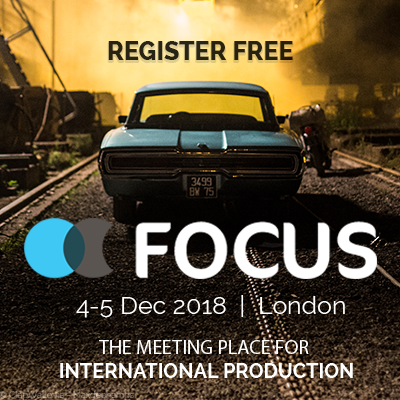 FOCUS, The Meeting Place for International Production, returns to The Business Design Centre London on 4/5 December 2018 for its fourth edition. Don’t miss the opportunity to connect with the creative screen industries, be inspired by a packed session programme and discover production solutions from around the world – for all types and sizes of project. Attend a packed content programme featuring over 100 experts. Meet with locations providers, film commissions, production services from over 60 countries. Network with peers at receptions and happy hours. Pre-arrange meetings using the one-to-one meeting scheduler. To make sure that it is completely relevant to the industry, we worked with FOCUS to develop their content programme along with other leading organisations including the British Film Institute, British Film Commission, Pact, The Production Guild, Directors UK, UK Screen Alliance, Creative Europe UK, Creative Skillset and Women in Film & TV. The content programme is presented in association with media partner Variety. We hope to see you at FOCUS 2018 and will be sending out more information on the events we will be hosting there very soon!